Once again, Spocksoc will be holding our weekly Friday night screenings. This week, we will be continuing season 1 of Almost Human. In 2048, the uncontrollable evolution of science and technology has caused crime rates to rise an astounding 400%. To combat this, the overwhelmed police force has implemented a new policy: every human police officer is paired up with a lifelike combat-model android. 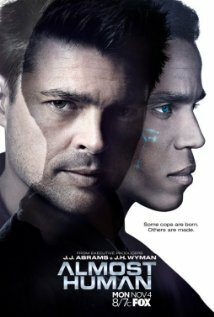 After waking from a 17 month coma, John Kennex is teamed up with one such android against his will, even as he is dealing with a prosthetic leg and memory loss. After he throws his android partner out of a moving van, Kennex is given an android named Dorian, an older model that suffers from its own emotions and insecurities.